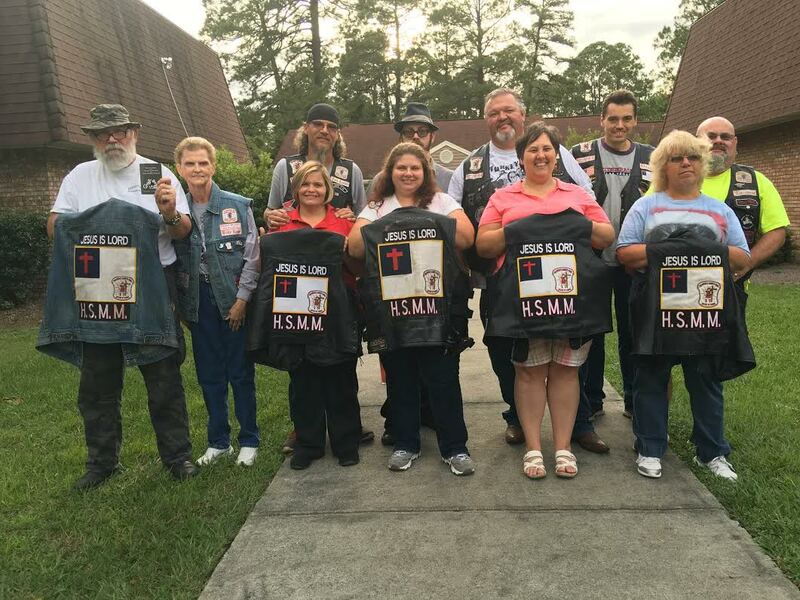 The Waycross Chapter started approximately five or six years ago with four Charter members of which two of those original members still remain today, Bill and Reta Devlin. Our Chapter focuses on reaching out into our community and helping others, serving. Either through organizing bike runs, or joining other bike runs to help. Our largest fundraising effort each year is our annual Turkey Run in October to bless families with turkeys and the “fixin’s” for Thanksgiving. Last year we gave out 200 turkey’s. We have also in the past worked with another MC to sponsor an Easter Run to provide kids with over 200 Easter baskets. Recently we had our second Steeple Run where we help a church. This church happens to be in the building process. We raised $1000 with only 32 bikes. On October 22, 2016 The Waycross, GA chapter held our Annual Turkey Run. When all funds came in, we had raised enough money to purchase 200 turkey’s to provide for the community. Most of our members attend CrossView Church whose Pastor is Tim Reynolds, a HSMM member, whose church runs a food bank. CrossView Church received 100 of those turkey’s. On November 21, the CrossView Church held their distribution to provide turkeys, mashed potatoes, stuffing, cake mix, green beans and corn to families who regularly attend their food bank. Turkey’s only were distributed to another 100 families through other ministries in our community.